For any who missed the Network’s most recent bulletin, it can be read in its’ entirety below. Publications, Workshops, Member and Archive News, New Members, and Recent Blog Posts. And Picture Stories where humanitarian photographers Stephanie Colvey and Meyer Brownstone speak of their work. –Call for Papers. Deadline October 1, 2018. 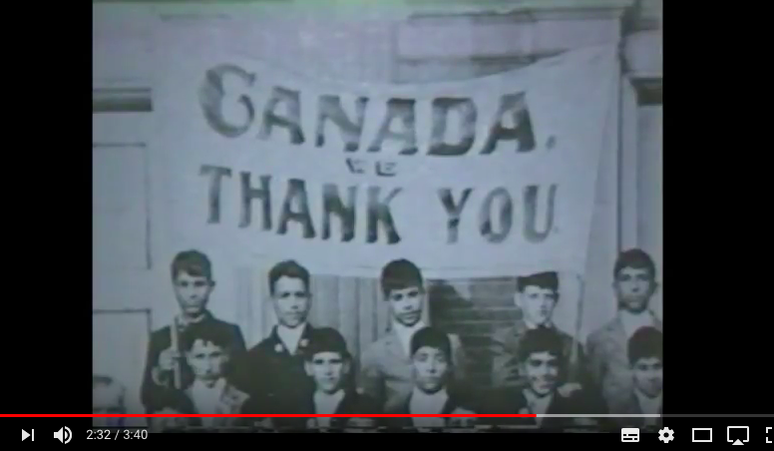 The CNHH sponsored sessions at the Annual Meeting of the Canadian Historical Association in Vancouver in 2019 will be on Official Development Assistance, especially questions of training and education in the aid field, universities and internationalization, other aspects of settler colonialism and humanitarianism, Canada and international aid organizations, etc. It is coordinated by David Meren, who is preparing a paper on “‘Development’: Settler Colonialism and the Origins, Life and Demise of the United Nations Regional Training Centre for Technical Assistance at UBC”. Please write to him before October 1 <david.meren@umontreal.ca> if you are interested. – Call for Papers. Deadline October 20, 2018. Human Rights and Transnational Legal Activism workshop held at the Ludwig-Maximilian-University Munich, February 8 and 9, 2019. Those interested can find more information and details here. Interested parties are required to submit a 600 word abstract along with a short bio to humanrights@ethnologie.lmu.de. Questions should be directed to Dr. Deniz Yonucu at the same email address. Authors will be notified of the selection committee’s decision by November 5, 2018. – CNHH founding member Jill Campbell-Miller started a SSHRC Post-doctoral stay at Carleton University on “Settler Colonialism and Development: Experiences from Canada and India, 1953-58”, with a CNHH co-sponsored talk on the “Colombo Plan Fellowships and the Changing Landscape of Health Education in Canada, 1950-1968” on September 14. A blog will follow soon. – Jean-Michel Turcotte, Postdoctoral Research Fellow, Department of History, John F. Kennedy Institute for North American Studies, Freie Universität Berlin, will present his work on prisoners of war at Carleton on September 27. -In collaboration with Carleton University Archives and Research Collections, and Hunter McGill from the McLeod Group, the CNHH is conducting a pilot project of “Archival Rescue”. A first call to CIDA veterans has returned more than 20 expressions of interest. – David Webster and Greg Donaghy’s edited collection that came out of the Global Affairs conference of December 2017, “A Samaritan State Revisited: Historical Perspectives on Canadian Foreign Aid, 1950-2016” co-organised by the CNHH, has been accepted for publication, tentatively for publication in 2019. The CNHH would like to welcome Ryan Heyden, a PhD Candidate at McMaster University. Ryan’s research follows the work of the Red Cross in divided Germany during the Cold War. Through themes of humanitarianism after genocide, East/West relations, and the two Germanies roles in the development of the postwar world, Ryan’s work looks to challenge historians’ understanding of Germany’s development and reconstruction after World War II. The Network would also like to welcome Michael Malloy. Michael is an Adjunct Professor at the University of Ottawa with forty years of experience in international and refugee affairs. He served as Director of Refugee Policy in the late 1970s and Counsellor of Humanitarian Affairs at the Canadian Mission in Geneva in the early 1980s. Currently, Michael is President of the Canadian Immigration Historical Society. And finally, the CNHH wants to welcome David Yacoubian, a graduate student at the University of British Columbia. 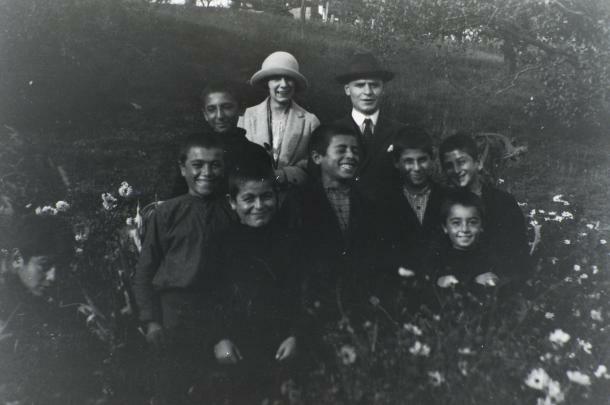 David’s Master’s work centered on humanitarian involvement of North American nurses during the Armenian genocide. The work is now informing and providing the foundation of his doctoral research. Copyright © 2018 Canadian Network on Humanitarian History, All rights reserved.